He describes life along the Rappahannock River as peaceful and adventurous, with plenty of wildlife. For more than 50 years, the largely unspoiled waterway along Fauquier’s western boundary has fascinated self-described “river rat” Greg Beach, a county native. He does custom carpentry and has a part-time maintenance job at a farm near Brandy Station. 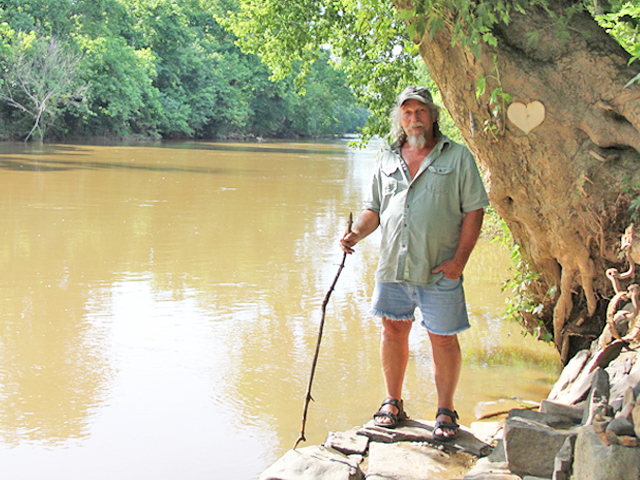 But, the 63-year-old devotes most of his spare time to exploring the river. He started canoeing the Rappahannock as a Boy Scout. Others who enjoy the outdoors will spot Mr. Beach canoeing the Rappahannock or walking its banks any hour of the day.